Sandy Desert is perfect for desert terrains; possessing a different color than Desert Sand, Sandy Desert is redder and a thicker textured product. 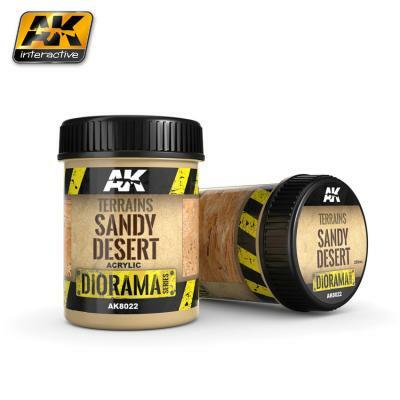 Sandy Desert combined with AK8020 Desert Sand creates an ultra-realistic desert environment. This is a high quality acrylic product developed for extreme realism. Acrylic product for textures in dioramas and vignettes. 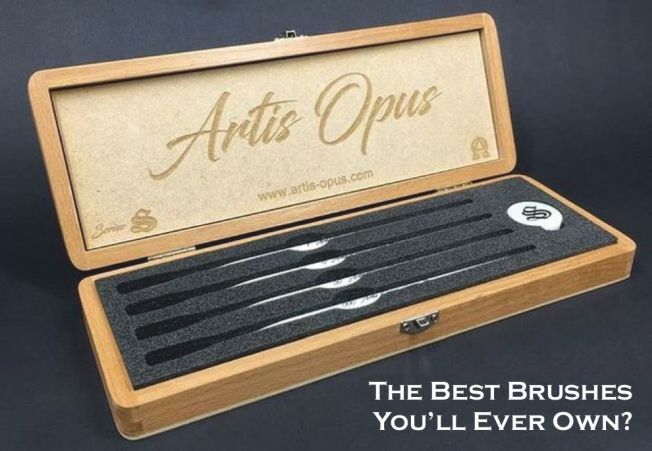 Perfect results in thin or thick layers. It can be diluted with water or an acrylic thinner to improve its flow.